Brand new Komputerbay 10 in 1 SD/MMC USB reader. With this handy compact USB device you can easily read and write to SD/MMC digital memory cards! 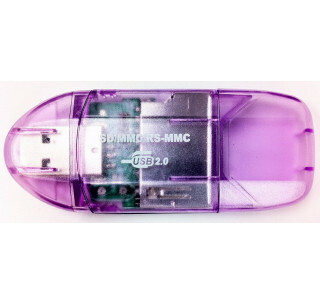 Not only can you quickly and easily access data on your SD/MMC memory cards, but you can turn your SD/MMC card into a USB mobile flash storage device!